On 28 June, the Verkhovna Rada of Ukraine Human Rights Commissioner met with representatives of civil society organisations and trade unions to discuss gender equality and anti-discrimination measures in Ukraine, at the Kyiv Ombudsman Office. 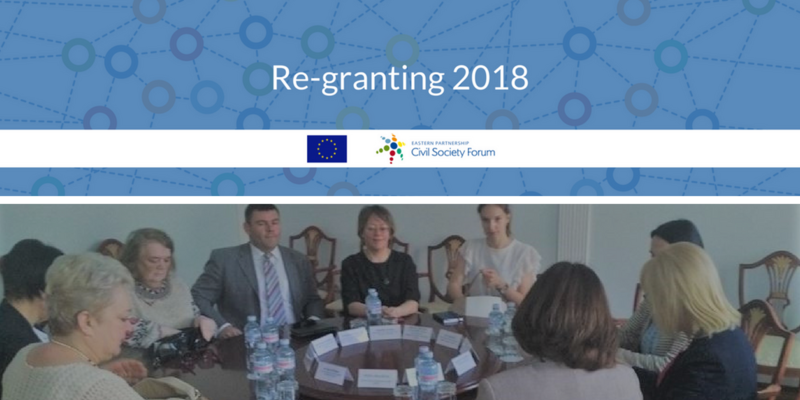 The meeting coincided with the launch of “Social Partnership for Equality” Working Group 5 Eastern Partnership Civil Society Forum (EaP CSF) Re-granting 2018 project – lead by NGO “Bureau of Social and Political Developments”. “We are ready to create a platform to discuss gender discrimination issues – for civil society and the government,” said Lyudmila Denisova, Ukrainian Parliament Commissioner for Human Rights. Commissioner Denisova confirmed that the government is planning to appoint a separate Representative of the Commissioner for Equal Opportunities, responsible for discrimination and gender-related issues. According to the Commissioner, this is because gender discrimination, especially women’s rights violations, are not isolated cases in Ukraine. “I hope that with your help, we will be able to organise training on non-discrimination and gender at the Office of the Commissioner. Local public organisations, media and government officials can also be involved in this process – conveying the message to the public. What is more, I am ready to offer such trainings for civil servants at government meetings,” said Commissioner Denisova. The Commissioner stressed that gender discrimination should be monitored on an ongoing basis, with advice on non-discrimination issued by all branches of the government. When presenting “Social Partnership for Equality”, the Bureau’s Rostyslav Dzundza pointed out its commitment to 2020 Deliverables Put To Work. The document stipulates that gender equality and non-discrimination should be the basis of EaP’s activities. In future, meetings of this kind will involve representatives from civil society organisations – particularly those coming from gender equality and women’s rights organisations, as well as the Expert Council on Non-Discrimination and Gender Equality under the Representative of the Commissioner for Children’s Rights, Non-Discrimination and Gender Equality. The meeting closed with discussions on the implementation of anti-discriminatory Directives of the Council of the European Union and International Labour Organization (ILO) Conventions, particularly in the context of EaP and best practices exchange.